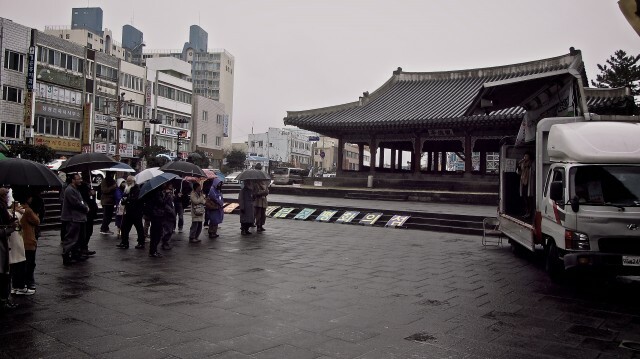 Despite the rain and bad weather, a small crowd still gathered. 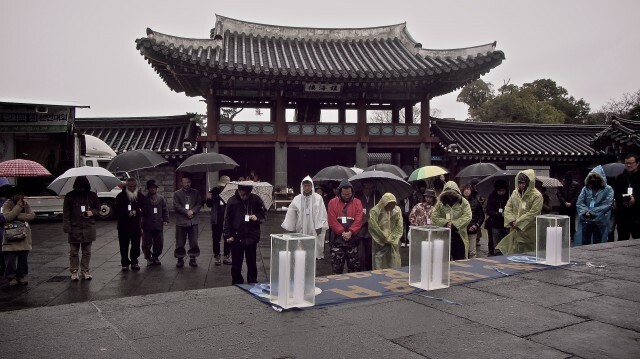 A moment of silence for the victims of the 4.3 massacre that died at Gwangdoekjang. 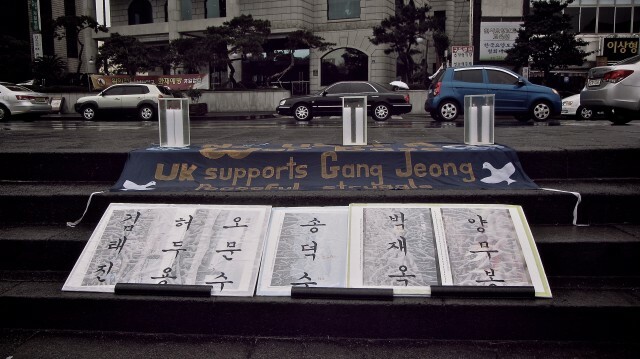 The names of the six victims (Kim Tae-Jin, Hur Du-Yong, Oh Mun-Su, Song Deok-Su, Park Jae-Ok, Yang Mu-Bong) out of the 30,000 who died at Gwangdoekjeong in the 4.3 Massacre. 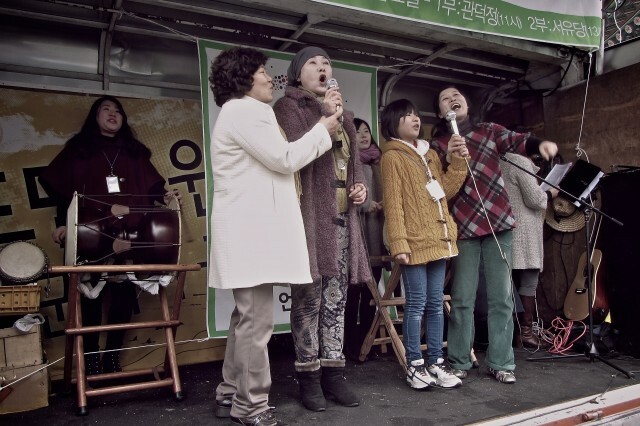 Sori Wat, a Jeju folk song group, performs several fantastic songs. 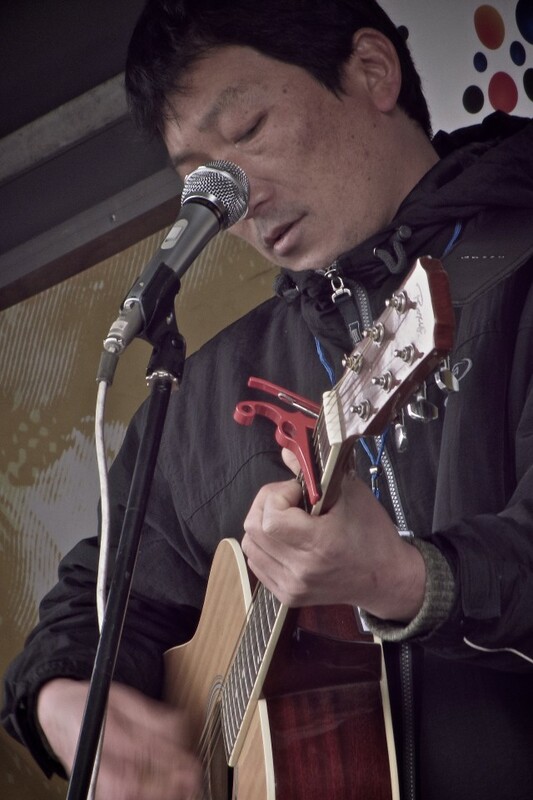 Choi Sang-Don, Jeju folk singer, who often sings about the 4.3 massacre. 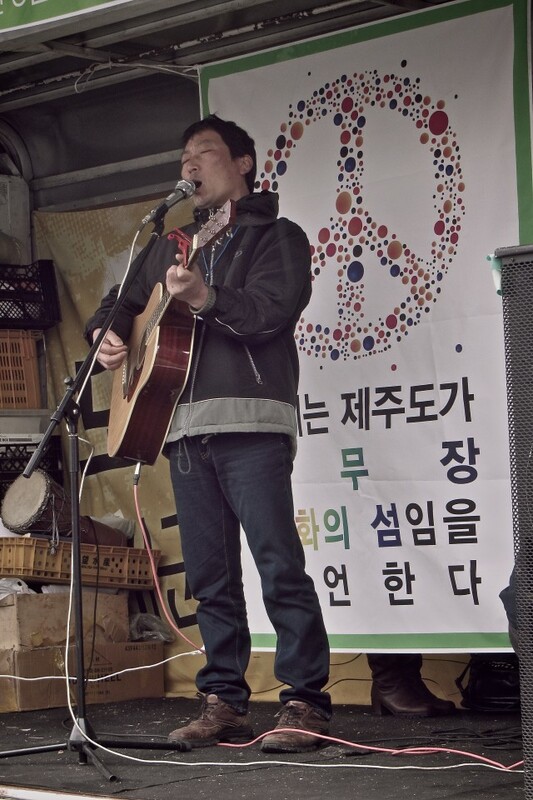 He performed several songs including a powerful ode to the 6 victims at Gwangdoekjang and the imprisoned Yang Yoon-Mo. 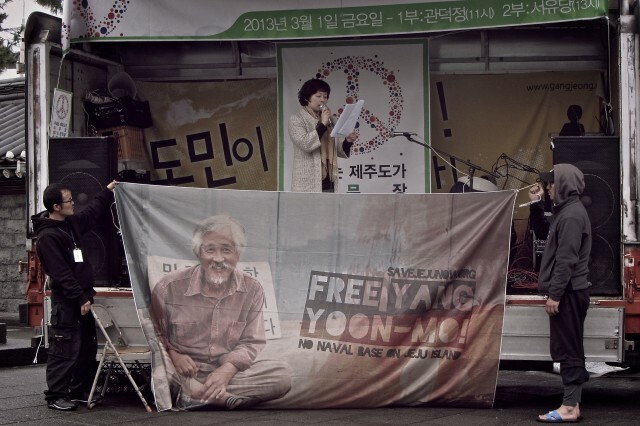 An inspiring letter from the prison hunger-striking Yang Yoon-Mo. 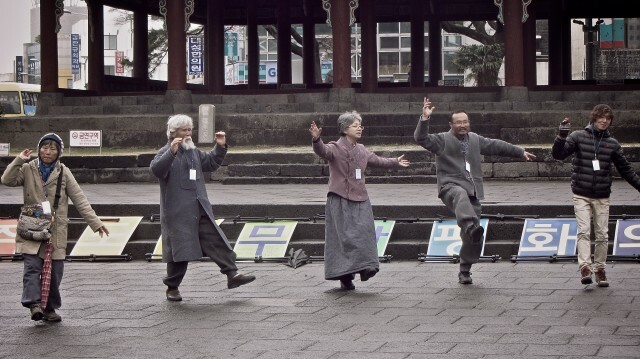 The morning part of the rally was closed with Gangjeong's 4 famous "Addictive" dances. 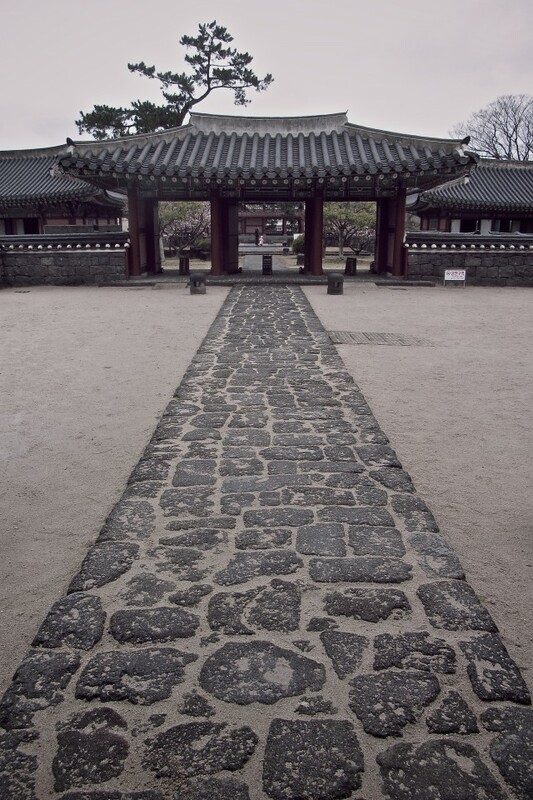 The inside of the Jeju Mok Office, an administrative building during the Joseon Dynasty with roots presumed to stretch all the way back to the Tamna Kingdom Period. 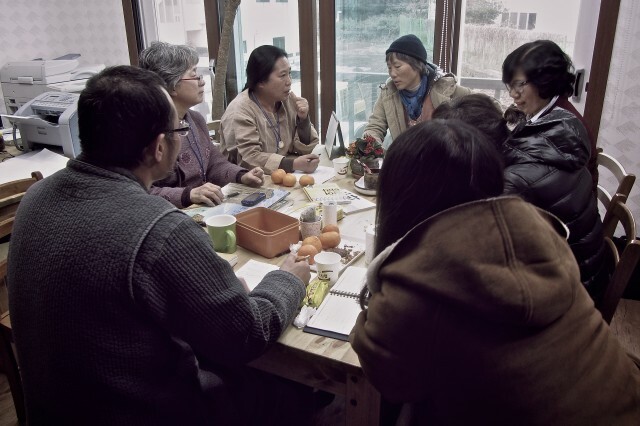 In the afternoon, participants split into discussion groups according to interest. 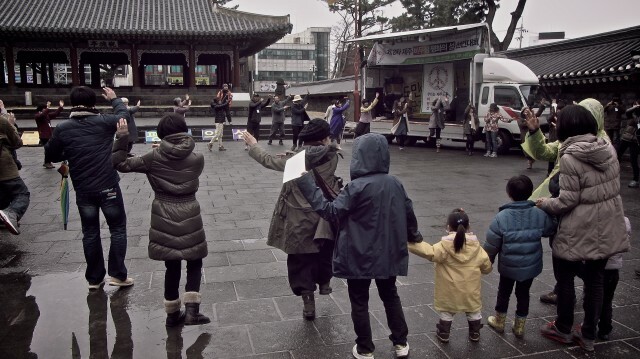 On March 1st, the anniversary of the beginning of the Korean independence movement against the Japanese colonialists, the 2nd Rally for the new movement to make Jeju the Demilitarized Peace Island was held in Jeju City in front of the historic Gwandoekjeong and the historic Jeju Mok office. 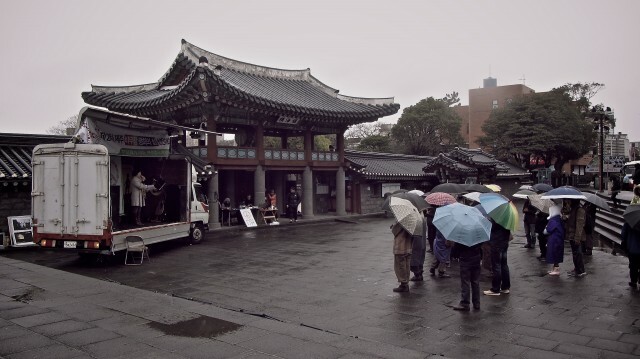 The buildings were administrative offices during the Joseon Dynasty, with presumed roots back to the Tamna Kingdom Period. 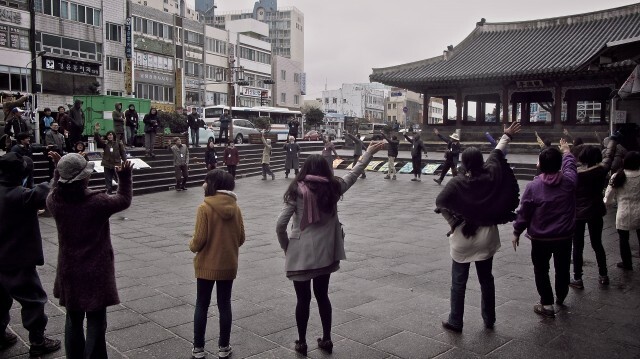 This historic site is also, like countless places in Jeju, a site with victims of the 4.3 Massacre. 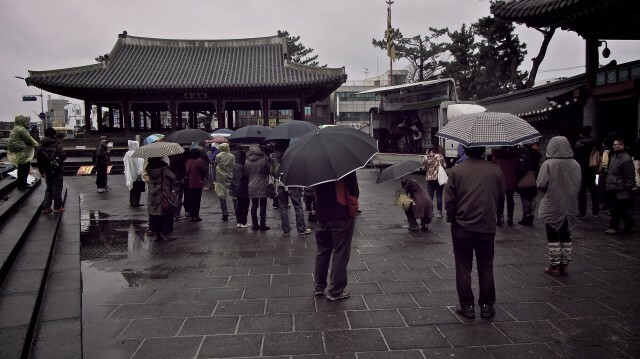 Despite the bad weather and rain, a small crowd gathered. 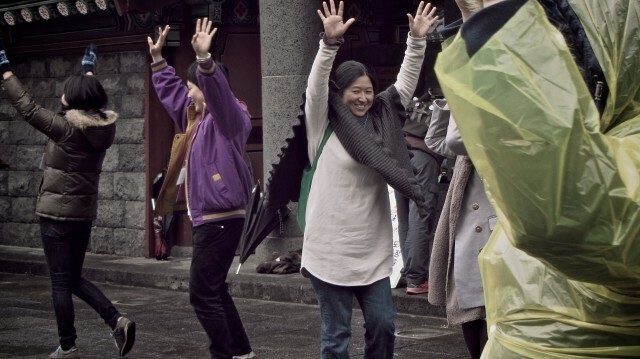 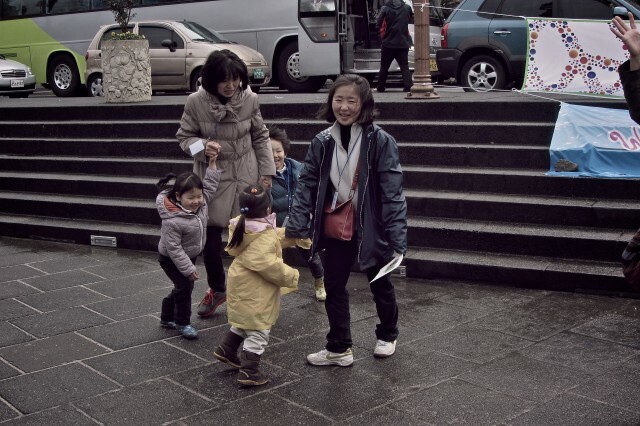 A declaration was read, several Jeju musicians performed, there was a moment of silence for the victims of 4.3, a letter from the imprisoned, hunger-striking Yang Yoon-Mo was read, and people danced the ubiquitous Gangjeong dances. 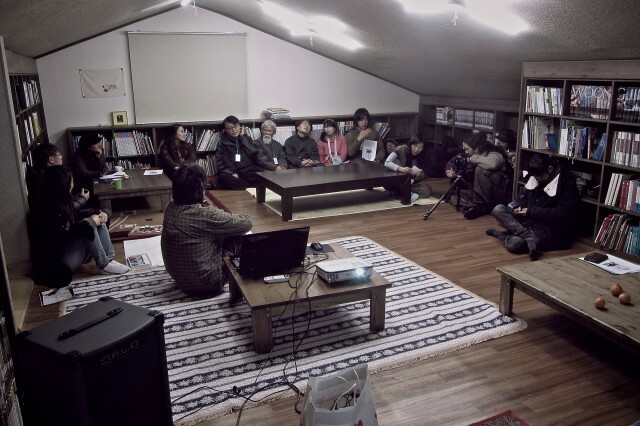 Then most of the participants moved to a private library and discussions were held about how to move the movement forward and make Jeju the Demilitarized Peace Island. 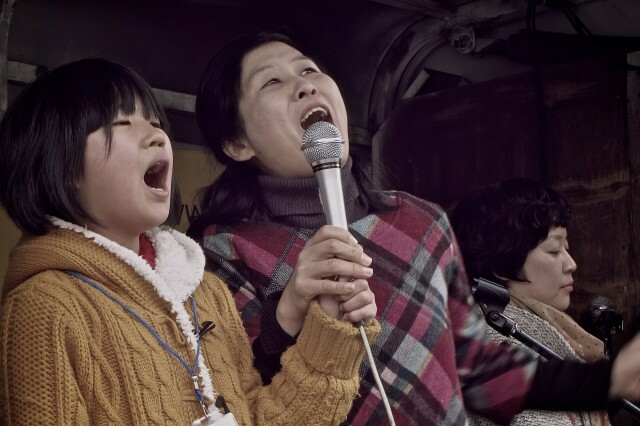 Finally, 10 of the participants were given free tickets to watch the out of festival premiere of Jeju 4.3 massacre film, Jiseul, which won awards at several film festivals including the Grand Jury Prize at Sundance. 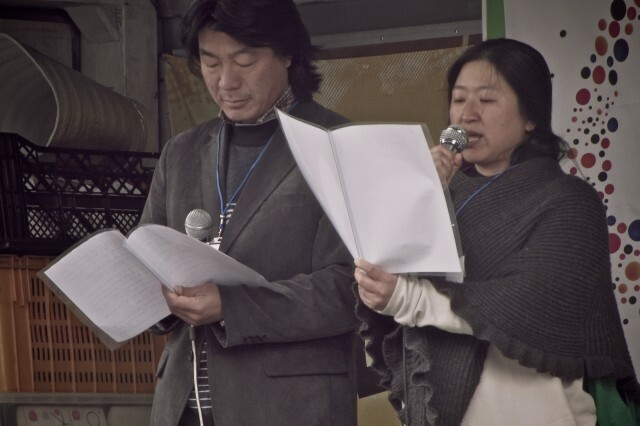 The next meeting of The Jeju Demilitarized Peace Island movement will be in the end of May.